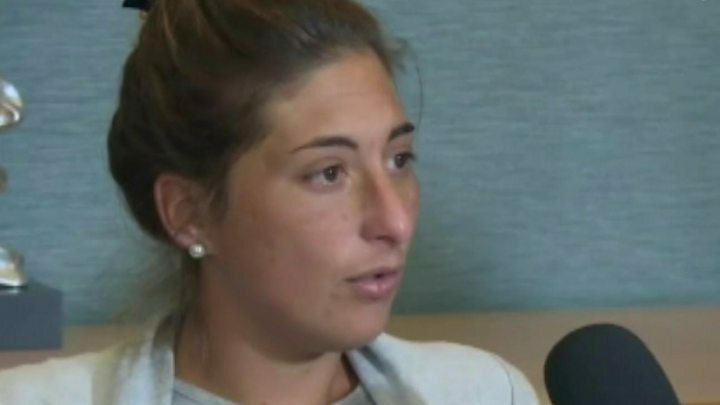 The pilot of the plane which crashed into the English Channel with Emiliano Sala on board, was not qualified to fly at night, BBC Wales understands. David Ibbotson is thought to have been colour-blind, and his licence restricted him to flying in daytime hours only. 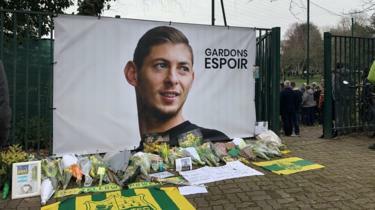 Footballer Sala, 28, died when the plane carrying him from Nantes to Cardiff crashed late on 21 January. The UK Civil Aviation Authority (CAA) said it could not comment. The Air Accidents Investigation Branch (AAIB) said licensing “continues to be a focus” of its investigations. Regulatory authorities have confirmed that Mr Ibbotson, from Crowle, North Lincolnshire, did not hold a “night rating” on his UK private pilot’s licence, the BBC understands. 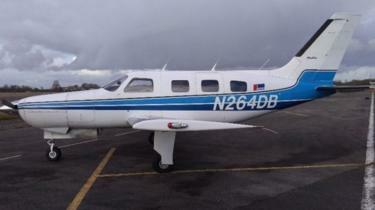 His UK licence was mirrored by a US pilot’s licence – enabling him to fly the US-registered Piper Malibu in Europe. The public record of his Federal Aviation Administration (FAA) licence states Mr Ibbotson “must have available glasses for near vision” and that “all limitations and restrictions on the United Kingdom pilot licence apply”. There is no publicly available record of UK pilot licences, which are held by the CAA. But sources have told BBC Wales that Mr Ibbotson’s licence restricted him to “flights by day only”. An aviation source told BBC Wales that the ability to be able to differentiate between green and red lights is “key” to flying in the dark. “Anything that’s on the UK licence applies to the US licence as well, so he couldn’t do anything more than the UK licence allows. European aviation rules define night as “the time from half an hour after sunset until half an hour before sunrise”. 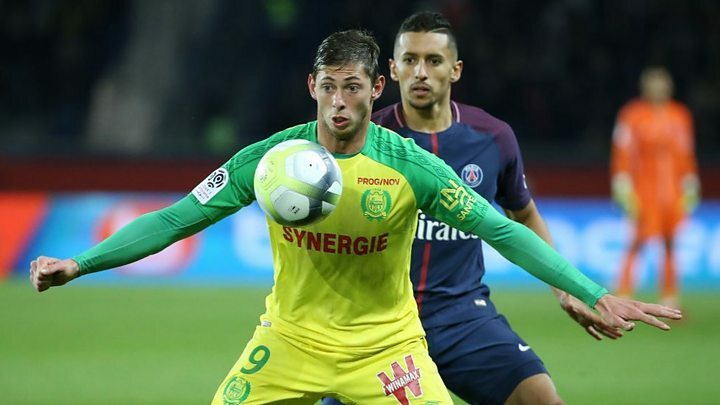 Flight plans seen by BBC Wales indicate the flight scheduled to take Argentine player Sala for his first training session with Cardiff City had been due to leave Nantes airport at 09:00 local time on 21 January. But the flight was postponed until 19:00, at the request of Sala, to allow him to spend the day saying goodbye to his Nantes teammates. By the time Mr Ibbotson taxied a Piper Malibu plane on to the runway ready for take-off shortly after 19:00, it would have been around an hour and 10 minutes since sunset. 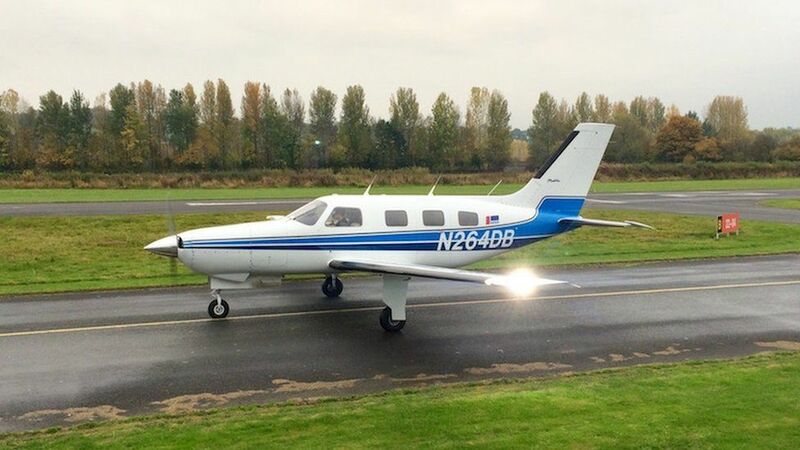 Speculation about the legality of the flight has so far centred around the question of whether it complied with restrictions concerning private pilots flying passengers in Europe in a US-registered aircraft. As a private pilot, 59-year-old Mr Ibbotson was not allowed to carry passengers for remuneration or financial reward. A preliminary report from the AIIB, released in February, stated he could only fly passengers on a cost-share basis. As the aircraft was US-registered, pilot and passenger must have a “common purpose” for making the journey, and the pilot must dictate when a flight leaves. The report adds that the flight “must not be made for the purpose of merely transporting the passenger”. In an interview in February, football agent Willie McKay, who commissioned the flight, told the BBC that he and his family paid for the flight. He was not involved, he said, in selecting the plane or the pilot and it was not a cost-share arrangement. The plane disappeared off radar north of Guernsey in the Channel Islands at 20:16. 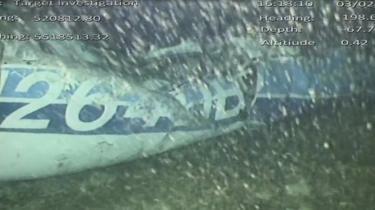 Sala’s body was recovered from the wreckage of the plane in early February but Mr Ibbotson’s body has not been found. The European Aviation Safety Agency (Easa) states that to obtain a night rating, a pilot must undergo five hours of theory and five hours of flight training. In their preliminary report, the AAIB said that because Mr Ibbotson’s pilot licence and log book had been lost in the crash, it had not yet been able to establish what ratings he held or how many hours he had flown recently – although it was known he had completed approximately 3,700 flying hours. Investigators would normally look to establish how many hours a pilot had flown in the last 28 and 90 days before a crash. The AAIB is expected to publish its full report into the tragedy early in 2020. 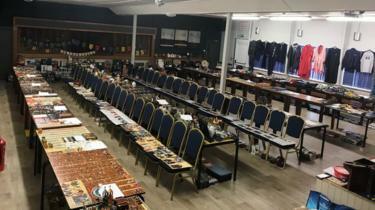 The arduous task of counting her entire collection involved packing it all up from her home and taking it to the local rugby club where it could be laid out in full. But the three-day process of packing, unloading, counting and re-packing had to be repeated after Mrs Maclean grouped some items as one when they counted as individuals. 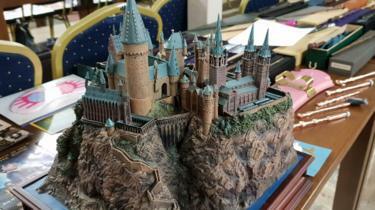 This new record, incorporating collectibles from the wider JK Rowling universe, means Mexico City’s Menahem Asher Silva Vargas, who has a 3,097-strong Harry Potter collection, keeps his world record. It was while she was pregnant in 2001 that Mrs Maclean’s magical love affair began. 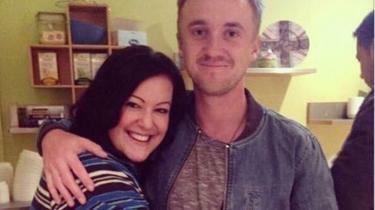 She was watching a segment on Blue Peter about Harry Potter and – two weeks later – had bought and read the first book. 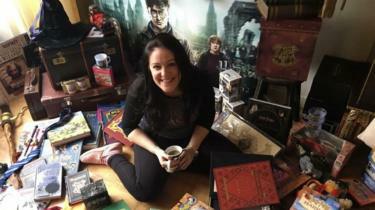 Since then, the mother-of-three has collected every book, DVD, toy, bag, item of clothing and piece of jewellery she can – as well as a host of other collectibles. 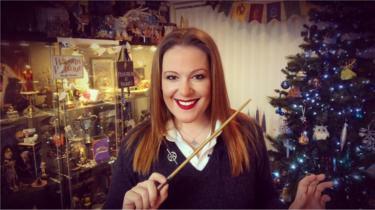 Her YouTube channel means she often gets sent memorabilia to promote, which helps cut some of the cost, but her collection is worth an estimated £100,000. Her prized possession is a 24 carat gold-plated Golden Snitch puzzle piece from Japan – one of only 5,000 made – which took six years to track down and buy. Even with this record – there is still the Holy Grail that eludes her – a first edition of Harry Potter and the Philosopher’s Stone. “I’ll never stop collecting until I really, really have to. I don’t smoke, I rarely drink – this is my vice,” she added. As part of the record assessment, all items were assessed and verified by two independent witnesses – one of whom had to be a specialist in the area – and only official merchandise counted towards Mrs Maclean’s total. Some memorabilia items were removed for not having the official labelling. 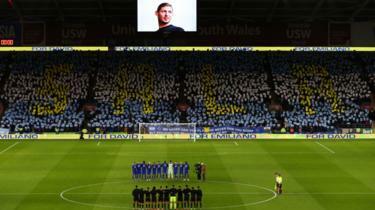 The funeral of Cardiff City striker Emiliano Sala will take place in his native Argentina on Saturday. His funeral will take place in his hometown of Progreso and a wake will also be held at the club Sala played for as a youth. His body, which was recovered from the wreckage following a privately-funded search last week, was repatriated in Argentina on Friday. 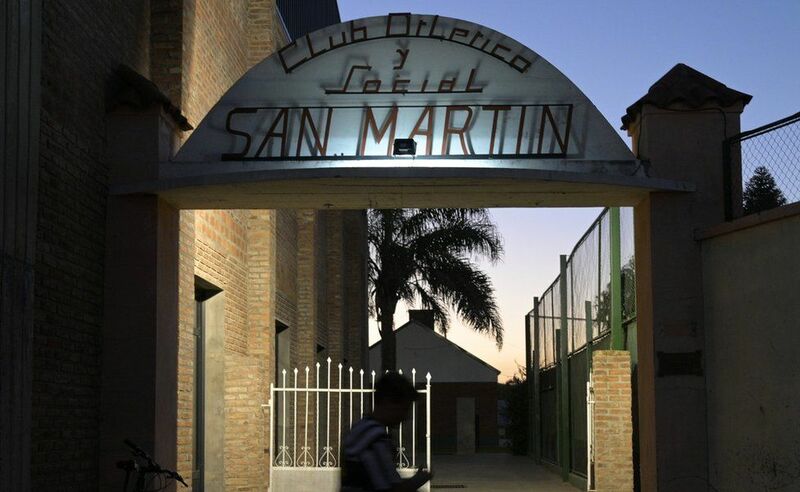 Ahead of the service, boyhood club San Martin de Progreso posted a message on social media saying: “We are waiting for you … like the first day you left but this time to stay with us forever. 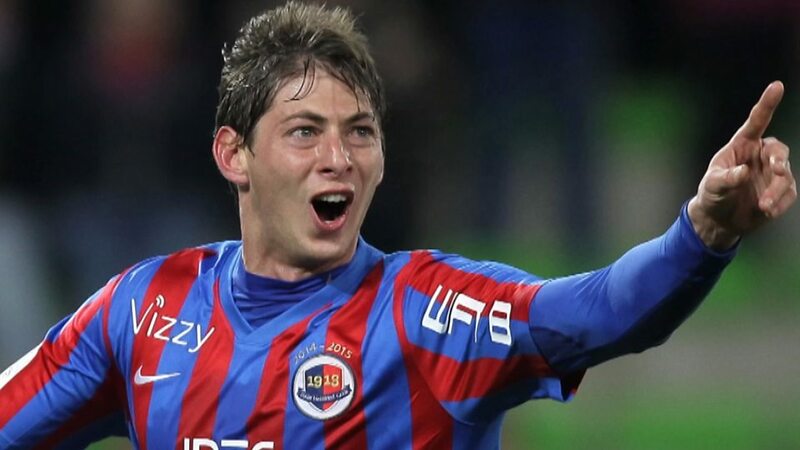 As well as Cardiff’s delegation of Warnock and chief executive Ken Choo, Sala’s former club FC Nantes will be represented by defender Nicolas Pallois and its general secretary. 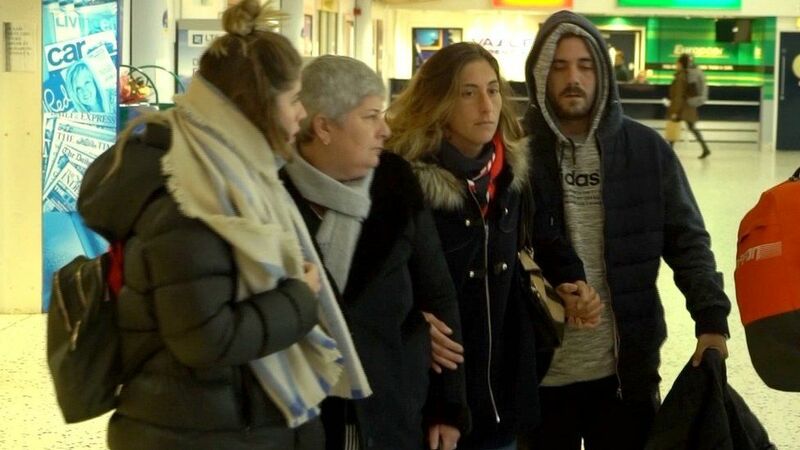 Sala’s mother Mercedes and sister Romina, who travelled to Europe after his disappearance, have already rejoined the footballer’s dad Horacio back in Argentina. Reports of Ford stepping up plans to move production out of the UK are “deeply worrying”, former first minister Carwyn Jones has said. The Times newspaper claimed the car giant told Prime Minister Theresa May it was preparing sites abroad. Ford did not comment on the claim but said a no-deal Brexit would be “catastrophic” for the UK car industry. It has a plant in Mr Jones’ Bridgend constituency and last month union Unite said 1,000 jobs were to be cut by 2021. Those cuts, which the union said was because of challenging market conditions, would see the site’s workforce almost halve. 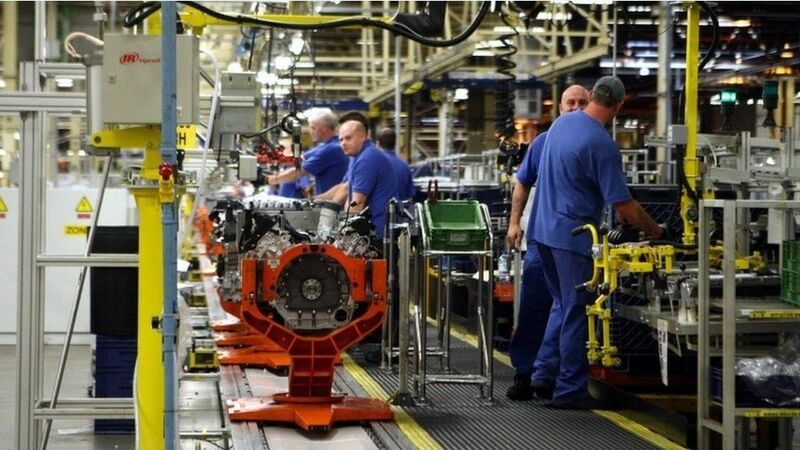 Ford is looking to shake up its European operations and is the latest carmaker to warn about the risks of a no-deal Brexit ahead of the UK’s departure from the EU on 29 March. A spokesman said: “Such a situation would be catastrophic for the UK auto industry and Ford’s manufacturing operations in the country. 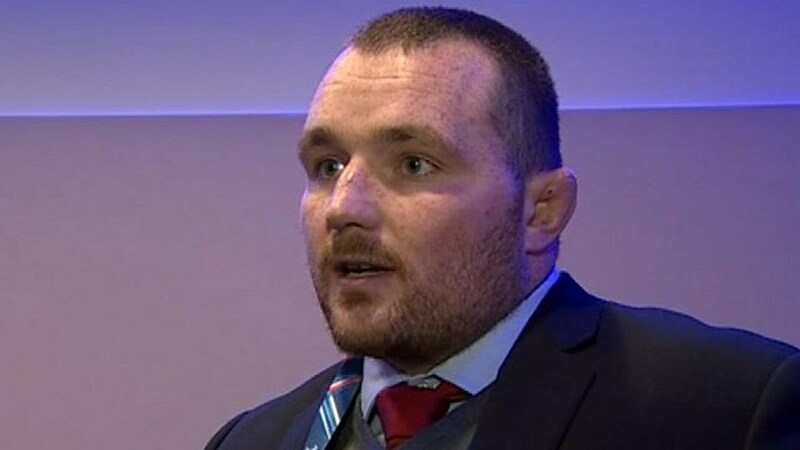 Labour’s Mr Jones expressed his concern for workers and their families in Bridgend, but blamed the impasse over the Brexit deal on a lack of leadership at UK level. “We have no idea what Brexit will look like,” he said. “We’re six or seven weeks away from it and companies like Ford are saying, ‘look we can’t wait any longer, we’re going to have to put in place contingency plans’ and that’s deeply worrying. Unite national officer Des Quinn urged MPs to “stop gambling” with the futures of UK workers and their families. The UK government said the best way to provide certainty to industry is for MPs to support the prime minister’s Brexit deal. 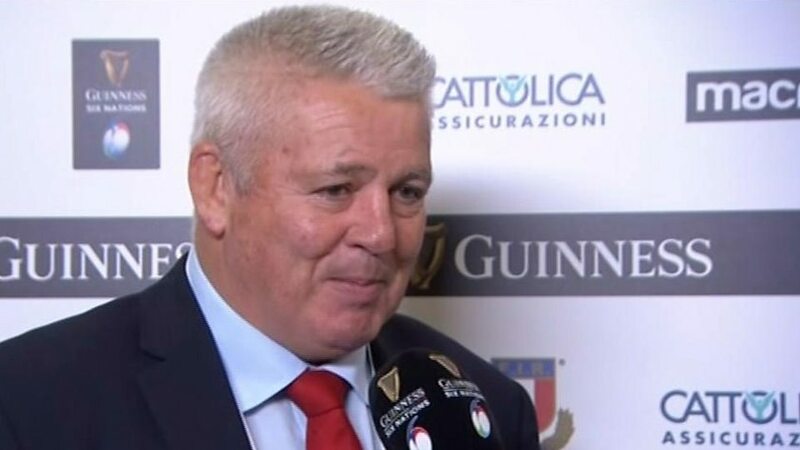 Wales coach Warren Gatland says he will be happy if his side are underestimated following the scrappy win over Italy. Gatland’s side top the Six Nations table after away wins against France and Italy and next face England in Cardiff on 23 February. He said: “A lot of people will write us off, which is a good position to be in. Hopefully we’ll go under the radar. 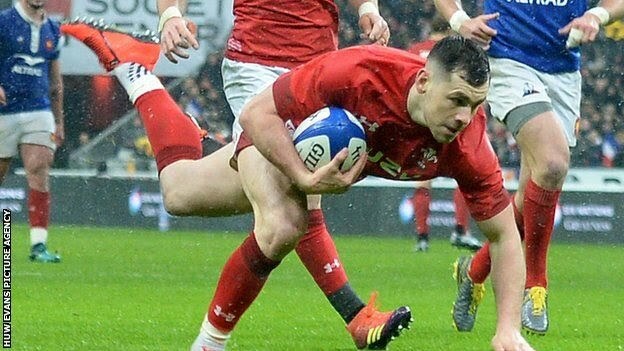 Josh Adams and Owen Watkin scored second-half tries while Dan Biggar kicked 14 points to see off a resilient Italy side 26-15 in Rome. “A lot of people will look to criticise us but you have to give Italy some credit for how they played,” added Gatland. Wales will achieve a record-breaking 12th successive Test win if they defeat England to beat the milestone set in 1910. “We didn’t speak about the record at all this week but we will probably talk about it before England,” said Gatland. “If this group of players achieve that, it’ll be something nobody can take away from them. Gatland said he had no regrets about making 10 changes against Italy from the side that beat France 24-19. He has used 31 players in those two victories and said the World Cup later this year was behind his decision. “I was looking at the bigger picture,” said Gatland, whose contract with Wales ends after the tournament in Japan. “For us as coaches, in our last year, we want to have as good a World Cup as we can. That was the plan all along. There’s no regret. “If it was a normal year, on reflection, maybe we wouldn’t have made so many changes. We wanted to give everyone in the 31 an opportunity to be involved in the first two games. A driver who admitted killing Olympic cyclist Chris Boardman’s mother by running over her has been sentenced to 30 weeks in prison. Liam Rosney, 33, of Connah’s Quay, had previously admitted causing death by careless driving at Mold Crown Court. Carol Boardman, 75, died in July 2016 after she fell off her bike in Deeside, Flintshire. The court heard Rosney was distracted as he made or received three phone calls before the incident. He faced a charge of causing death by dangerous driving but later admitted the lesser charge. As well as the prison sentence, Rosney was banned from driving for 18 and a half months. “This was an accident which could have easily been prevented and your contribution to that accident is significant in as much as you were distracted,” said Judge Rhys Rowlands. 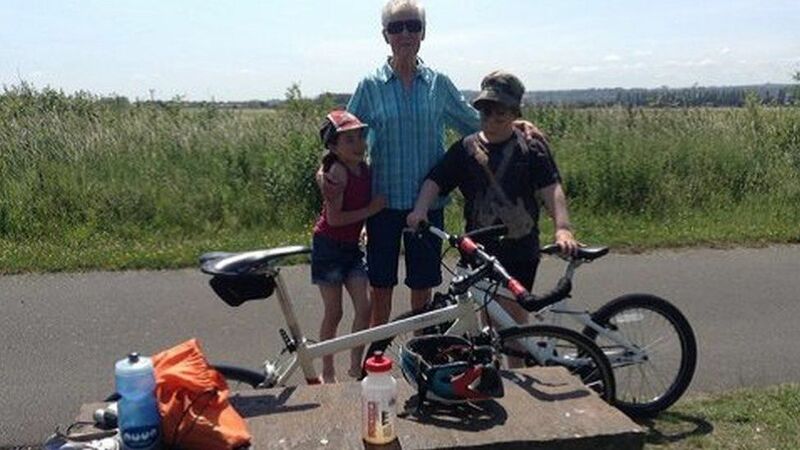 Mrs Boardman, 75, whose cyclist son Chris won gold at the 1992 Olympics, suffered multiple injuries when she was hit by Mr Rosney’s Mitsubishi pick-up truck after falling from her bike on a mini-roundabout in Connah’s Quay on 16 July 2016. 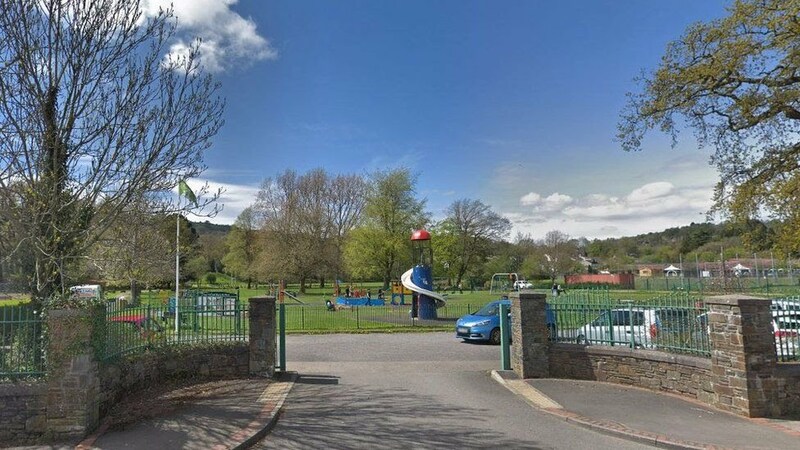 The court heard that in the minutes before Rosney hit Mrs Boardman, who had fallen from her bike on the junction of Mold Road and Ffordd Llanarth, he made or received three phone calls while driving his vehicle, which did not have a hands-free facility. 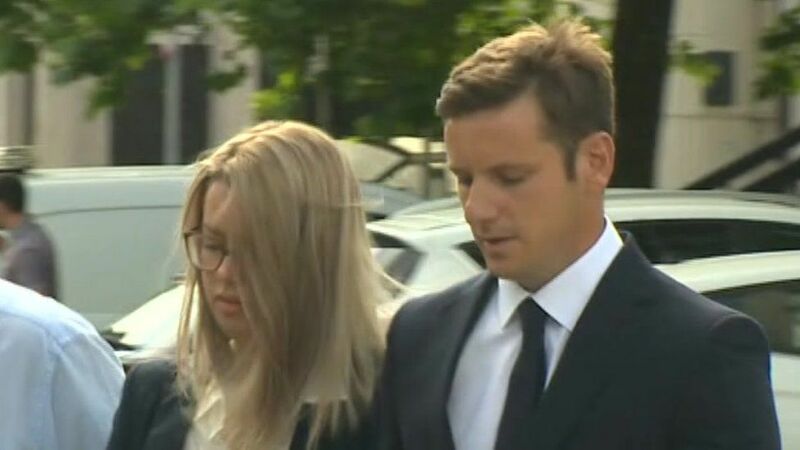 Oliver Jarvis, defending, said Rosney did not “want to make any excuses for his behaviour” and realised he had “destroyed the lives” of Mrs Boardman’s family. Looking at the devastating impact the incident has had on his family, he questioned the nature of the charge. “We don’t treat crime committed in cars as serious crime, so somebody can be careless and crush somebody else to death and it’s classed as careless,” he said. While he said he did not want to see lots of people go to prison, he wanted to see the ability to do harm taken away. Rosney and his wife Victoria were cleared of attempting to pervert the course of justice in July. Mrs Boardman had been a competitive cyclist in her youth and had remained active in cycling until her death. 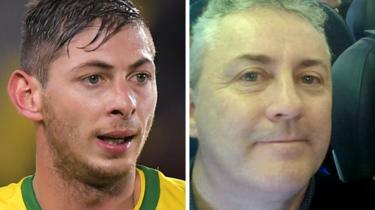 The family of missing Cardiff City footballer Emiliano Sala are planning an underwater search. Family spokesman David Mearns told a press conference that a private search of the English Channel, paid for by fundraisers, also included fishing boats and other vessels. The underwater search is expected to begin on Sunday. Meanwhile the family has been taken on a plane to see the area that rescuers have been searching. 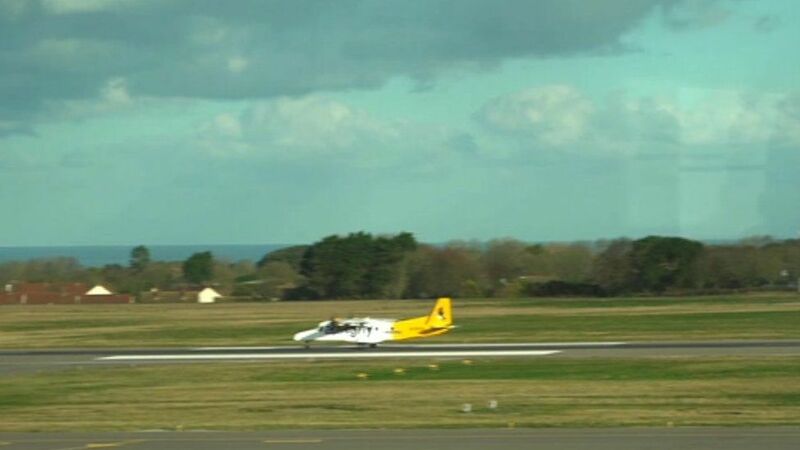 They left Guernsey Airport at about 09:30 GMT on a chartered flight with harbourmaster David Barker. Sala’s sister Romina and mother Mercedes arrived on the island on Sunday and a family spokesman said they were struggling for answers. 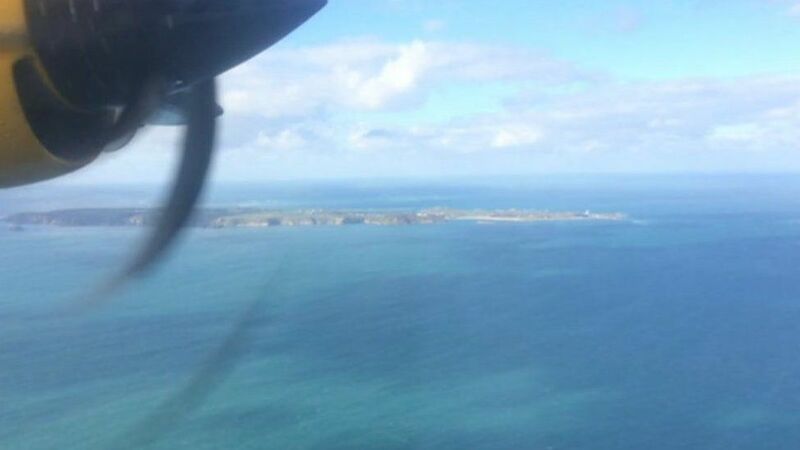 The family travelled on a twin-engine Dornier 228-212 plane which flew from Guernsey and circled the island of Alderney. Mr Mearns told a press conference on Monday: “We would like to thank all the people and all the companies that have offered their help,” he said. 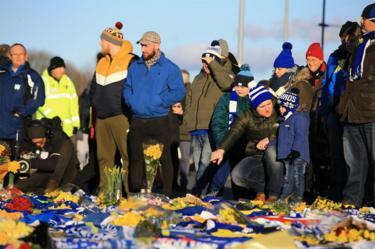 Speaking of Sala and the football community’s reaction, Mr Mearns added: “He’s a really friendly person that people loved – from both clubs and any other clubs, and that’s where you see the breath of the football community coming together in an extraordinarily short period of time to raise this type of money. An official search for 28-year-old Sala and pilot David Ibbotson, 59, of Crowle, Lincolnshire, was called off on Thursday, with Mr Barker saying the chance of them being alive was “extremely remote”. But, after a plea from his sister not to give up, more than £290,000 was raised for a private search to continue – which is being led by Mr Mearns, said to be a renowned shipwreck hunter. Ms Sala said of her brother: “He’s a fighter, he started his football career from very little… He’s a very humble, family man. “He was always joking, he was very keen to stay with the family all the time and we know he’s here somewhere and we are here to bring him back”. 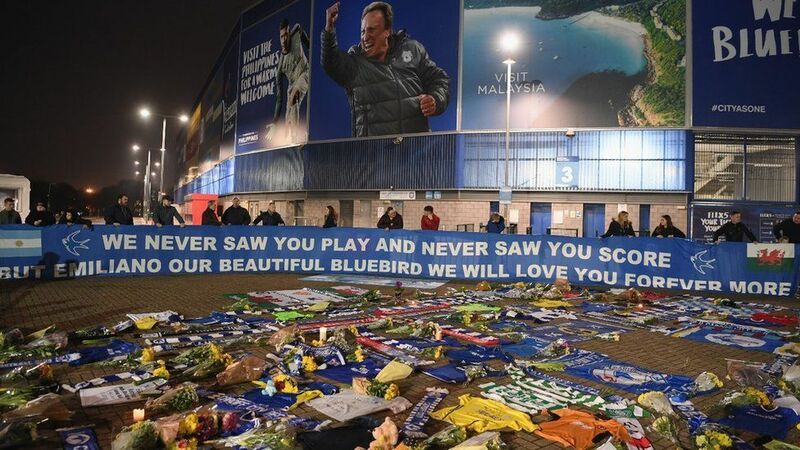 Speaking for the first time since Sala disappeared, Cardiff City manager Neil Warnock said he could understand Sala’s family’s stance on keeping the search going. “If it was my kid I’d want everybody looking forever,”he said at a press conference on Monday. “It’s by far the most difficult week in my career. Even now I can’t get my head round the situation,” he said. Mr Warnock added he believed he had also been flown by Mr Ibbotson. “I’d been on a couple of planes like that, but I think the ones I’d be on might have had two engines. “But I’d been over the top to Nantes a couple of times, and I do think I had that pilot – who I thought was a fabulous pilot. Argentine striker Sala signed for the Bluebirds from Nantes on Saturday, 19 January and was flying back to Wales from France when the plane disappeared from radar last Monday evening. Mr Mearns said they had travelled to Guernsey to be near where the plane was last located and to find out about the investigation and what happens next. Mr Mearns said the private search would entail “more investigative technical searches underwater” at some point. The family have also thanked donors for their “exceptional generosity” after money was raised to pay for a private search. Tears. Celebrations. Hugs. Broken racquets. The Australian Open has brought us everything from dramatic finals to people willingly drinking pickle juice. .Naomi Osaka and Novak Djokovic laid down the marker at the first Grand Slam of the season as they walked away with the titles, and there was plenty else to enjoy over the fortnight in Melbourne. Here’s five things we learned at the Australian Open. There was plenty of praise for Andy Murray when he announced on the eve of the tournament that he plans to retire in the summer. Given Murray’s injury struggles in 2018, his first-round match against Roberto Bautista Agut in Melbourne was always going to be difficult. On the opening day of the tournament, Murray battled for four hours and nine minutes. In front of a packed Melbourne Arena, he fought back from two sets down to force a fifth set. Ultimately, the Scot fell just short – but it offered a stark reminder of how much we will miss Murray. Naomi Osaka and Petra Kvitova are arguably two of the most likeable players on the women’s tour. Japan’s Osaka has endeared herself to the public with her down-to-earth and slightly awkward public speaking. The controversial US Open final against Serena Williams reduced her to tears as she collected her maiden Slam trophy to boos from the crowd. Kvitova, meanwhile, has made a remarkable return to tennis since she suffered career-threatening injury in a knife attack at her home in 2016. Ultimately, it was Osaka who took home the title and the world number one ranking with a dramatic 7-6 (7-2) 5-7 6-4 win. This time last year, Osaka was 72nd in the world rankings and was yet to win a WTA title. Now, she’s at the top of the world rankings with two Grand Slam titles to her name. Melbourne was also where Ashleigh Barty reached her first Grand Slam quarter-final and rising American Danielle Collins thrashed second seed Angelique Kerber in the fourth round. Top seed Simona Halep lost to Serena Wiliams in the fourth round, before Williams, despite holding four match points, fell to Karolina Pliskova in the quarters. So, things are changing in the women’s game. Is it the same in the men’s? ATP Finals winner Alexander Zverev, 21, has yet to go beyond the quarter-finals in a Slam. He continued that record when he fell to Milos Raonic in the fourth round, promptly taking his frustration out on his racquet. French Open finalist Dominic Thiem, 25, also lost his cool and his racquet during his second-round match against Australian qualifier Alexei Popyrin. Thiem was forced to retire injured, while last year’s semi-finalist Kyle Edmund was easily beaten by veteran Tomas Berdych in the first round. However, Stefanos Tsitsipas – more on him later – claimed a fine victory over Roger Federer, leading to some suggestion of a “changing of the guard”. Not that Federer was convinced. “I’ve heard that story the last 10 years. From that standpoint, nothing new there,” he said, while Rafael Nadal said the next generation can “wait a little bit”. If proof was needed that the champions are not done yet, then Djokovic provided it by thrashing Nadal in the final. Djokovic inflicted a first straight-set defeat in a Slam final on Nadal to claim his 15th major title. Since the start of 2015, Djokovic has competed in 10 of the 17 Grand Slam finals – winning eight of them – and has risen to the top of the world rankings. His victory over Nadal in Melbourne means Federer’s record of 20 Slam titles is very much within reach. “It was the first time where I have watched the Australian Open and thought that one man can win all four Grand Slams this year,” BBC tennis correspondent Russell Fuller said. Are they set for a rematch at Roland Garros in May? Stefanos Tsitisipas arrived at the Australian Open as one of the NextGen – the young players tipped for major success in the future. as a child, and one of his favourite matches was the then-teenage Federer’s victory over Pete Sampras at Wimbledon in 2001. So what did Tsitsipas do when he met Federer in the fourth round? He beat him in four sets. The Greek fell in the semi-finals to Rafael Nadal but he captured the imagination in Melbourne. His YouTube channel, where he vlogs about life on tour, cracked 100,000 subscribers and he even had a dish named after him at a local Greek restaurant. 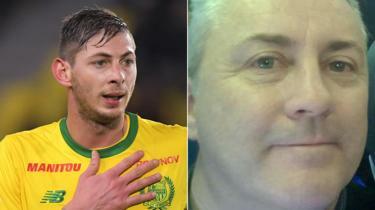 Football agent Willie McKay says he arranged the flight that missing Cardiff City striker Emiliano Sala took from Nantes, but was not involved in selecting the plane or pilot. The search for Argentine Sala, 28, and 59-year-old pilot David Ibbotson was called off on Thursday. 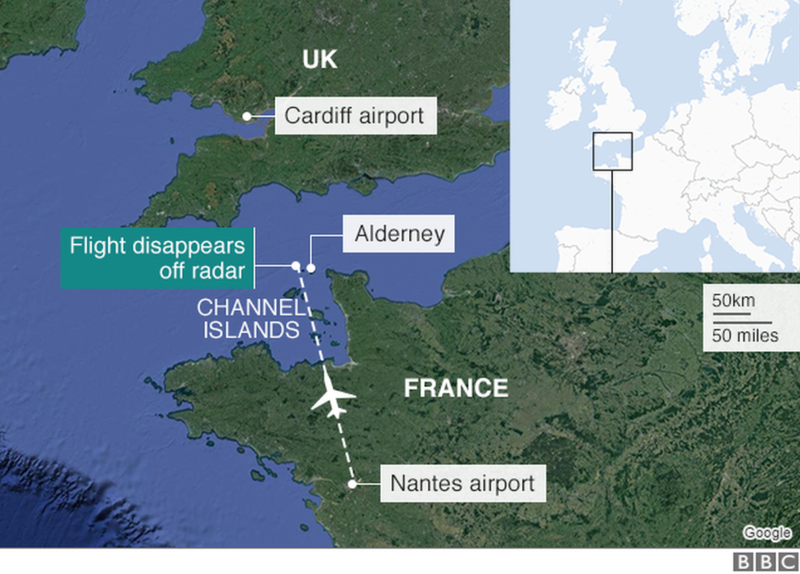 Their plane disappeared, from radar as they flew over the English Channel on their way to Cardiff on Monday night. McKay has revealed text messages with Sala discussing flight arrangements. One of McKay’s sons, Mark, was the agent acting for Nantes in the £15m transfer that made Sala Cardiff’s record signing earlier in January. McKay told the BBC he had arranged the flight through David Henderson – an experienced pilot who had flown him and many of his players “all over Europe on countless occasions”. It is not known how the job of flying Sala ended up being passed to Ibbotson. The Civil Aviation Authority is to examine whether Ibbotson was operating with a private or commercial licence. Henderson has not so far commented on what happened. 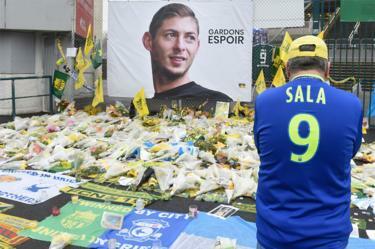 In the text exchange released to the BBC by McKay, his other son, Jack – who is a Cardiff player – offers to arrange the private flight for free so Sala could return to Nantes to pick up his belongings and say goodbye to former team-mates at the Ligue 1 club. McKay said both Mark and Jack had a conversation with Sala about the difficulties of flying to the French city by commercial airline. 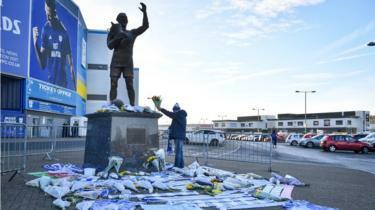 He also says a Cardiff player liaison official knew of the arrangements that were made. The BBC has approached the Premier League club for comment. “With regards to the booking of the flight we contacted Mr David Henderson, who has flown us and many of our players all over Europe on countless occasions,” McKay said. In a 2015 interview with the BBC, Mr Henderson spoke about his life as an experienced light aircraft pilot. The Times newspaper has apologised to McKay for incorrectly stating that he owned the plane. 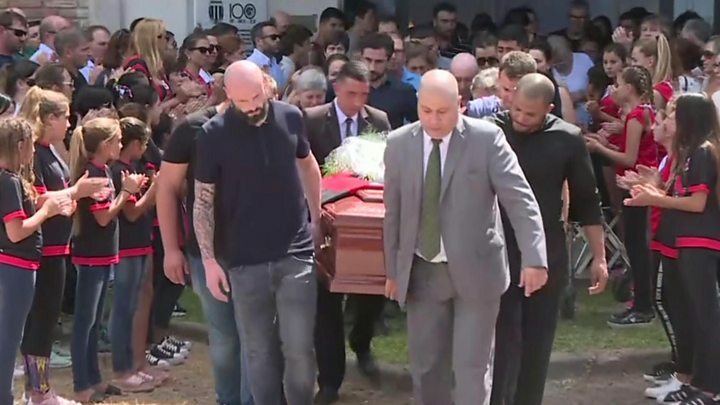 The agent also said he has met Sala’s friends and family to “give them an understanding of how Emiliano came to be on that plane”. “The tragic events that have unfolded have shocked us all,” he added. 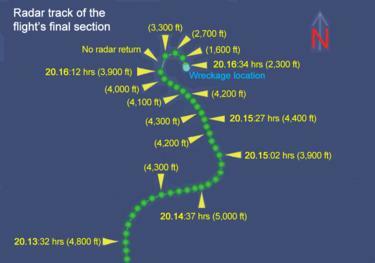 which will look at “all operational aspects,” including licensing and flight plans. Similarly the Civil Aviation Authority is to examine whether the pilot was operating with a private or commercial licence. 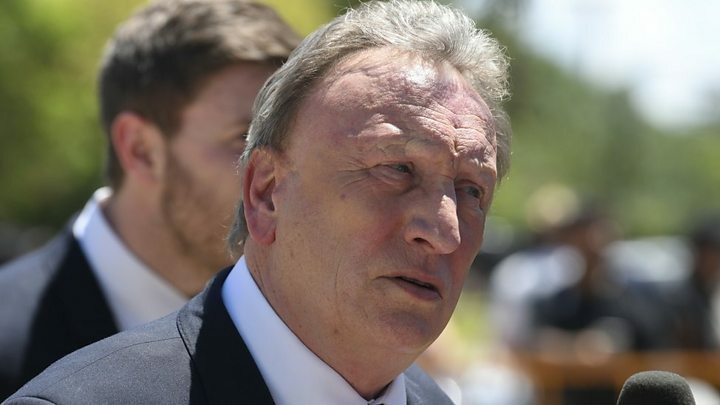 Cardiff have started an internal inquiry to try to establish the events leading up to the flight, but a senior source has denied reports the club is considering a multi-million pound negligence lawsuit over the incident. 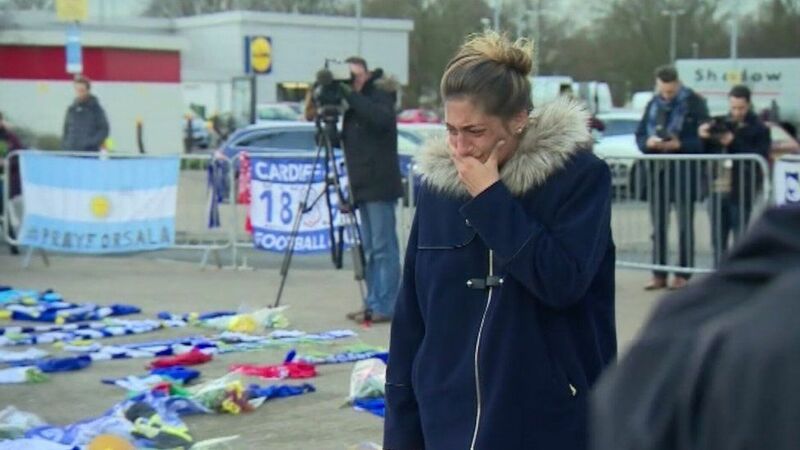 The source claimed senior club officials only became aware a private flight had been arranged after they were alerted by the club’s player liaison officer that Sala had failed to arrive at Cardiff airport as planned on Monday. They also made the point that the club does not have a private jet for players to use and therefore they could not be expected to have arranged his travel to and from Nantes. Argentina’s president has joined calls from Sala’s family and many fellow footballers for the search to resume. 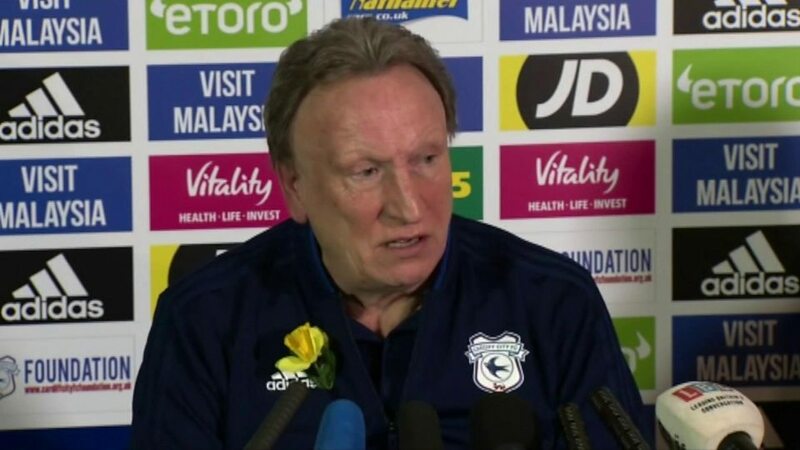 Cardiff’s players will wear yellow daffodils for Tuesday’s Premier League fixture at Arsenal to honour Sala. These messages between Jack McKay and Sala were translated from French. Among those joining calls for the search to continue are Barcelona forward Lionel Messi .